A recharge pack priced at Rs 199 by Jio until January 9 is now available at Rs. 149. Reliance Jio has revamped its prepaid recharge plans. As part of its 'Happy New Year 2018' offer, Reliance Jio has from January 9, 2018, rolled out its new recharge packs by cutting prices of its existing 1 GB per day plans and offering 500 MB more data per day in the existing 1 GB per day recharge plans. Jio subscribers can access the new plans and their details by recharging their Jio connection through the telecom company's website - jio.com - by entering their number or through apps. For example, a Jio recharge pack priced at Rs 199 until January 9 will now be available at Rs. 149. Under a new Jio recharge pack priced at Rs. 149, the telecom company's prepaid customers will get 28 GB of 4G data for a period of 28 days with a daily cap of 1GB data, according to the Jio website. Jio's recharge pack of Rs 198 (priced at Rs 199 earlier) will offer 1.5 GB of high speed data per day for a validity period of 28 days, according to its website. Other benefits will be free voice calls, unlimited data at a speed of 64 Kbps after exhausting the daily limit of high speed data and 100 SMS per day for the validity period, among other benefits, the Jio website showed. Jio's recharge pack of Rs 398 (Rs 399 earlier) will now give 1.5 GB of high speed data per day, among other benefits, for a validity period of 70 days. 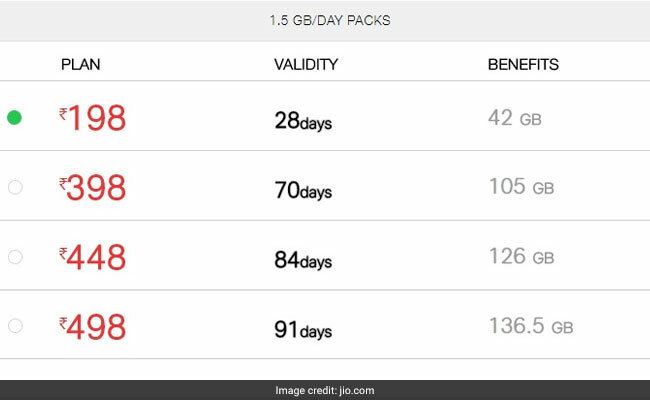 Reliance Jio's new recharge pack priced at Rs 448 will offer 1.5 GB of high speed data per day for a validity period of 84 days, among other benefits, according to its website. Reliance Jio's new recharge pack of Rs 498 will include 1.5 GB of high-speed internet data per day for a validity period of 91 days, according to the Jio website. 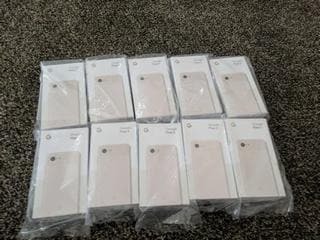 Reliance Jio has kept voice calls free across its new recharge packs. Also, subscribers exhausting the daily limits of high-speed data will continue to receive mobile data at a speed of 64 Kbps, according to the Jio website. 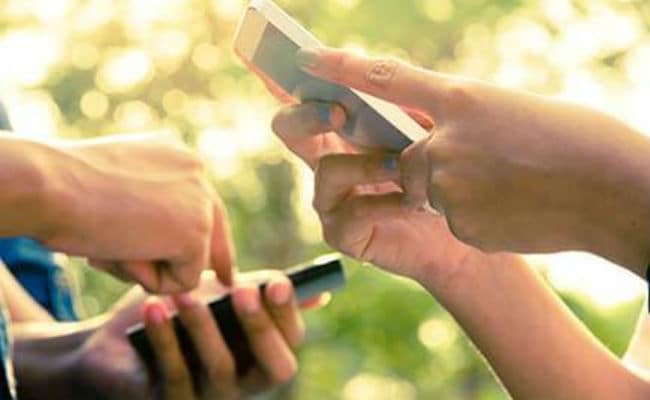 The new recharge packs of Rs 198, Rs 398, Rs 448 and Rs 498 will also come with 100 SMS per day and complimentary subscription to Jio apps for the validity period, according to the telecom company's website.